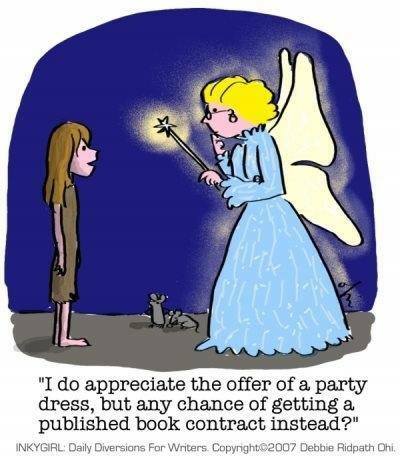 Fairy godmother or not, are you suffering from obscurity? If so, you’re not alone. Thousands of people are invisible. Thousands of people hide their gifts and talents and business behind jargon, boring copy, and hard to read press releases and website copy. No one understands their products / services. No one cares. In a busy market place, they are busy getting ignored. Their products stay on the shelf gathering dust. Thousands of people have self-esteem issues. If you don’t do anything about it, so what. No one will buy your products / service. Your business will fail. You will become a statistic. Half of all businesses fail during the first five years, according to the Small Business Administration. Ever watch those shows on TV, Restaurant Impossible and others? Many business owners do not promote their business and what happens? Nothing. You will be a perennial wallflower, the person who cannot succeed, always gets passed over for promotions, the person who never finds their soul mate, the person who never publishes the book that they know that they were born to write. The person who wishes, hopes and yearns for something more out of life but never fulfills their dreams of Getting Published. The person who spends their life waiting for their Fairy Godmother to DO something. Or for Some Day (the day between Sunday and Monday). We can help you go from obscurity to limelight by getting your business the media coverage you deserve. A few articles in local and national publications can get those widgets flying off the shelf in no time. We can assist you in writing that book and getting it published. And maybe even fulfill some other dreams. For a 15-minute complementary consultation to discuss your business needs and/or book project contact 702-225-8206. If you wanna dance with me… Contact me at 702-225-8206 for a 15 minute complementary call to discuss your Book Project. It could be just the MAGIC you need!